Memphis, Tennessee, July 28, 2015	(Newswire.com) - Orange Mound is the oldest Black Community in America built by former Slaves on what was the John Deaderick Plantation. The similarities between summer time Africa and Orange mound is astounding in that in both Africa and in Orange Mound you will find groups of White Missionaries remolding homes and doing work as they would in a "Third World Country." 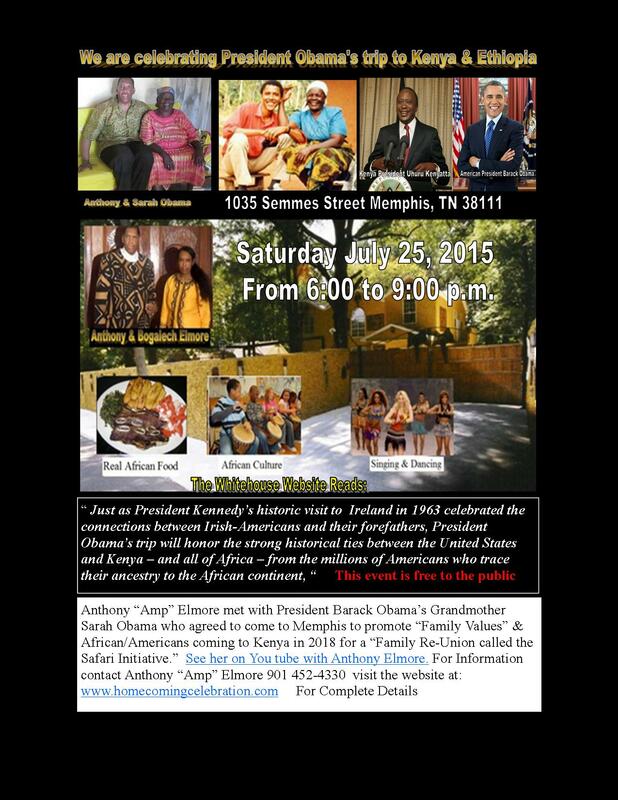 On Saturday July 25, 2015 five time Karate/Kickboxing Champion Anthony "Amp" Elmore hosted a celebration at his "Orange Mound Home" in Tennessee honoring President Obama's trip to Kenya and Ethiopia. President Obama's trip to Kenya and Elmore's celebration in Memphis arrives from one and the same spirit of Kenya leader Tom Mboya. Tom Mboya was a 26 year old Kenyan labor leader who came to America in 1956 who was inspired by the civil rights movement in America, started "Airlift America" whereas his friend Barack Obama Sr. arrived in Hawaii in 1959 to go to school in America. Anthony "Amp" Elmore 1st traveled to Kenya in 1990 to premier his movie "The Contemporary Gladiator." 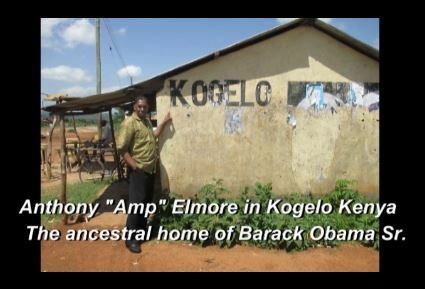 While in Kenya Elmore was touched by "Ancestral Spirits" who would change his life the way President Obama's life was changed by visiting Kenya that inspired him to become the President of the United States of America. Elmore notes that his African ancestors asked him to bring not only"African/Americans home to "Mother Africa," but to all humans, in that human life begun with a single mother in Africa. Elmore took groups to Kenya of over a decade. Africa became a mission for Elmore who in 1992 met Kenya President Daniel Arap Moi. Elmore explained to the Kenya President regarding his passion to bring Americans and Africans and African/Americans together. President Moi named Elmore an "African Ambassador." For over two decades Elmore tried to get his friend Memphis Mayor W.W. Herenton to connect Memphis with Africa. 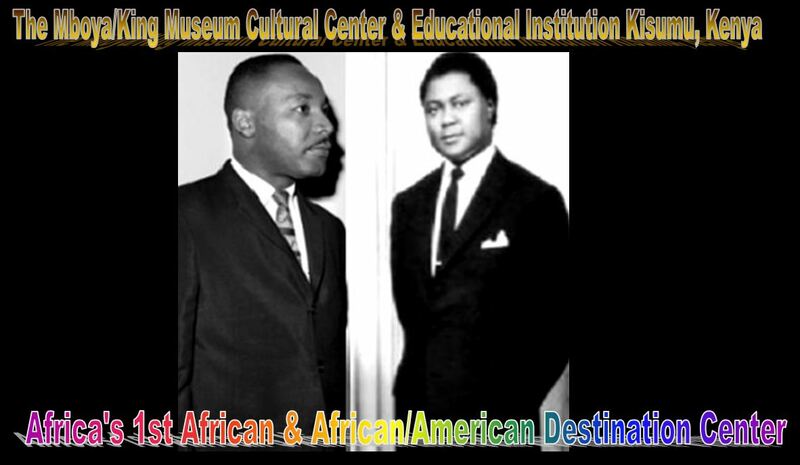 Mayor Herenton was reluctant and told Elmore to get his friend White Congressman Steve Cohen to support his African mission. Elmore who entered the African import business made a 2009 inaugural tuxedo for President Obama that was delivered to Whitehouse by Congressman Steve Cohen. 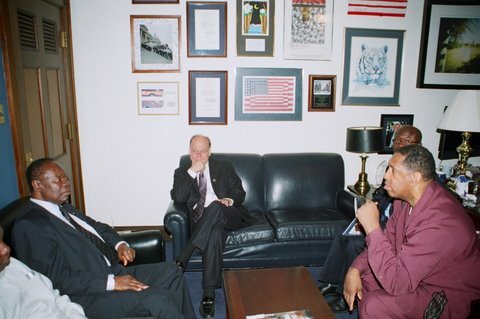 In 2009 Congressman Cohen acknowledged Elmore's efforts to bring African trade in Culture to America on the floor of Congress. President Obama sent Elmore a thank you note. 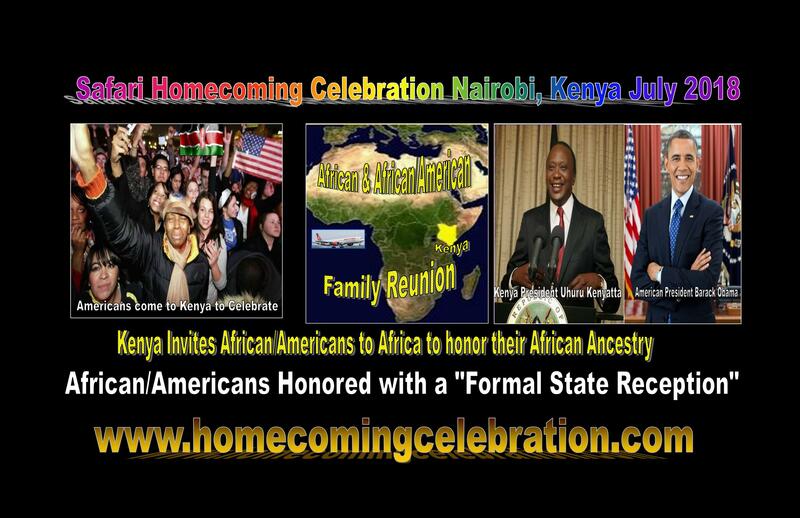 At the celebration at Elmore's home On Saturday July 25, 2015 Elmore was clear that the spirit of Kenyan leader Tom Mboya was at the celebration because of the cultural transformation that took place at the celebration whereas Whites and Blacks joined together as one African family. 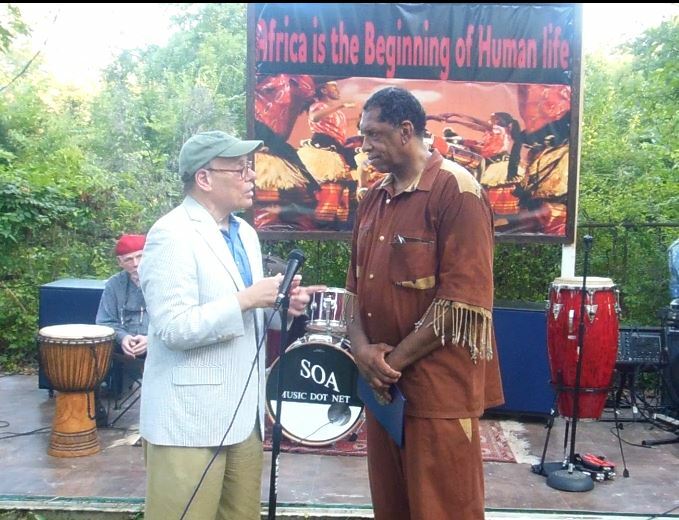 The sign in the background read "All Human life comes from Africa." Kenyan leader Tom Mboya was Africa's greatest leader in that he was "Transformative" and was able to bring Whites and Blacks together. Tom Mboya's influence helped John F. Kennedy to be elected President in 1960. Singer Harry Belefonte, baseball great Jackie Robinson, Actor Sidney Poitier, Dr. Martin Luther King and others helped to raise the money to bring the 1st plane load of Kenyans to America in 1959. It was a young Thurgood Marshall who went to England to negotiate Kenya's independence and draft their constitution. Ms. Wagari Maathai one on the Kenyan students who came to America in 1959 became the 1st African woman to win the Nobel Peace Prize in 2004. The area that was once the John Deaderick Plantation in Memphis, Tennessee is the home of Anthony "Amp" Elmore and the 1st "All African Styled home in America" and the home was designed as the "Prototype of the Safari Initiative." One of the meanings of Safari is "Styled African Furnishing Application Renaissance initiative." Elmore notes that jobs and trade can be created via integrating "African Styles and culture throughout the world. Just as we have Chinese and Mexican restaurants on every corner in America Africa has much to offer the world as African/Americans via music has influence the world. American President Barack Obama came to Kenya and connected to Kenyan people. 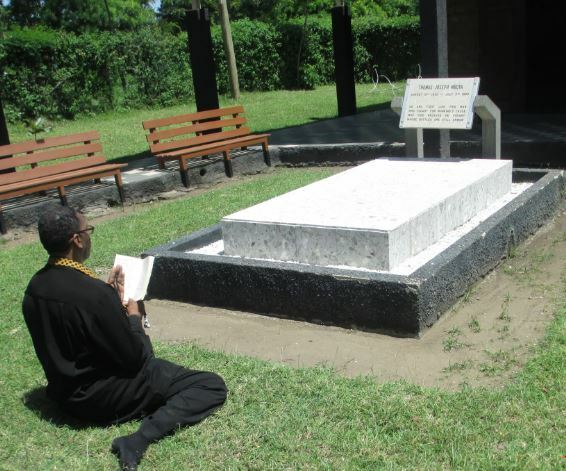 Elmore notes that the shameful part of Kenyan leaders is that while Tom Mboya connected with Americans Mboya connected 1st with his African/American family who raised money to bring the 1st Kenyans to America. Kenya or no African country shamefully has created a cultural infrastructure or invited African/Americans to come to Africa. African/Americans spend over 48 Billion a year on travel and while they travel in groups more than any ethnic groups in America Kenya or no Africa country has reached out to its "African/American family." 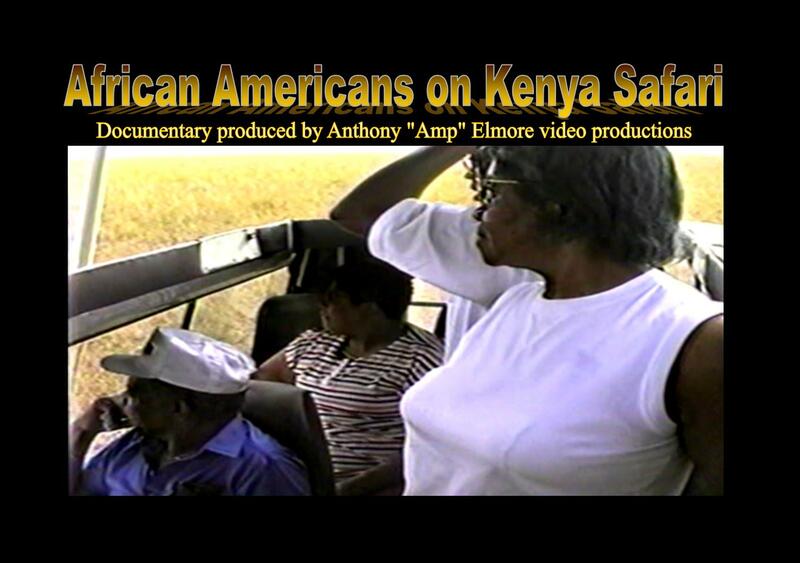 Elmore took groups to Kenya for over a decade. Elmore entered a brawl with Kenya Governors who came to Memphis in July 2013. In December of 2013 Kenya Governor Cornell Rasanga of Siaya County where the Obama family lives came to Memphis to arrange a personal deal with Elmore's State Representative G.A. Hardaway who Elmore introduced to them. Elmore mention to the Kenyan officials that they were breaching the "Spirit of Tom Mboya" Governor Rasanga told Elmore he had no interest in Tom Mboya or connecting with African/American people. Governor Rasanga or Tennessee State Representative G.A. Hardaway showed no interest in connecting Tennessee citizens with the President Obama connection. Their interest was only their personal gain. President Obama spoke about corruption in Kenya and he needs to start in the county where his family lives. President Obama's Grandmother Sarah Obama agreed in May of 2013 to come to Memphis to promote family values, culture, education and economic development. Kenya Governor Cornell Rasanga and Tennessee State Representative G.A. Hardaway worked out a personal deal and is an example of corrupt officials that President Obama spoke about in Kenya. Elmore's Tennessee State Senator Reginald Tate arranged for Elmore to meet with Tennessee Commissioner of economic and Community development at his office in Nashville on August 18, 2015. Memphis Congressman Steve Cohen is arranging for Elmore to meet with Kenya's Ambassador. On August 15, 1956 Thomas Joseph Mboya a 26 year old African subject from British East Africa arrived in the United States. Tom Mboya an African leader and a Kenya founding father sojourn to America caused the greatest influence on life in America than any single African in modern history. Both John F. Kennedy Presidency of 1960 and that of Barack Obama in 2008 are influenced by Tom Mboya. Anthony "Amp" Elmore a Karate kickboxing champion met "Mboya's Spirit" hosted a Mboya 60th Celebration. The thread that connects President Obama to Kenya and Airlift America is threaded to a home called the "Safari House" in Memphis located in an Area that is called "Orange Mound." Orange Mound is the 1st neighborhood built by former slaves. Orange Mound was formerly the John George Deaderick Plantation.